This Norwegian kelp supplement is rich in iodine, potassium and trace minerals, cultivated in clean ocean water and pollutant screened. As important as vitamins are, they can do nothing for you without minerals. Vitamins cannot be assimilated without the aid of minerals. And though the body can manufacture a few vitamins, it cannot manufacture a single mineral. All tissues and internal fluids of our body contain varying quantities of minerals. Minerals are constituents of the bones, teeth, soft tissue, muscle, blood, and nerve cells. They are vital to the support and maintenance of health. Minerals act as catalysts for many biological reactions within the body, including muscle response, the transmission of messages through the nervous system, the production of hormones, digestion and the utilization of nutrients in foods. Vital for supporting and maintaining healthy thyroid function, which in turn is essential for health. A mineral which assists in muscle contraction and in maintaining fluid and electrolyte balance in body cells. Potassium is also important in sending nerve impulses as well as releasing energy from protein, fat, and carbohydrates during metabolism. Minerals that occur in tiny amounts or traces. They play a major role in supporting and maintaining health. They are essential in the assimilation and utilization of vitamins and other nutrients. They support healthy digestion and provide the catalyst for many hormones, enzymes and essential body functions and reactions. They also help support the proper replacment of electrolytes lost through normal activites. 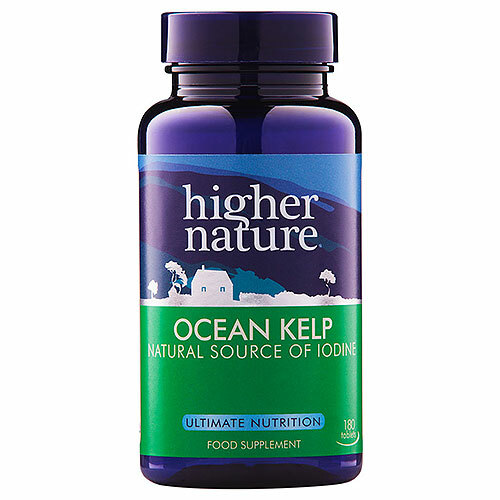 Kelp: dried and powdered (providing 150-360mcg Iodine). Natural kelp powder*, bulking agent: potato maltodextrin; anti-caking agent: stearic acid**; anti-caking agent: silicon dioxide. *May contain naturally occuring fish and crustacea. Does not contain: Artificial colours, flavourings or preservatives, corn, dairy products, gluten, lactose, maize, soya, sugar, wheat, yeast. Take 1-2 tablets a day with meals. May not be suitable for people with fish or crustacean allergy. Consult your doctor if taking thyroxine or are hyperthyroid. Below are reviews of Ocean Kelp - 180 x 300mg Tablets by bodykind customers. If you have tried this product we'd love to hear what you think so please leave a review. I have found this product to be excellent. It has helped me shift weight (I was finding it really hard before). On my 2nd bottle now and have recommended to loads of friends. 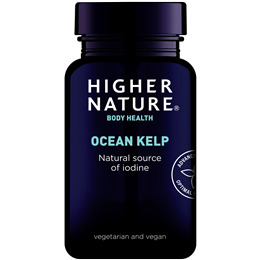 This superior Norwegian kelp supplement is rich in iodine, potassium and trace minerals, cultivated in clean ocean water and pollutant screened.